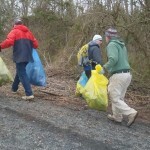 On Saturday, April 9th, from 9 AM to 4 PM, several local non-profit groups and agencies teamed up to a clean a 14-mile stretch of the Occoquan River, from below the Lake Jackson Dam to the Lake Ridge Marina. 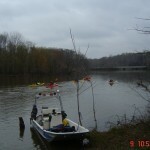 It was the first time that five different launch points on the River were used to maximize the clean-up. 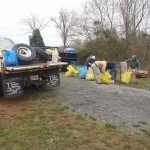 The effort was led by the Prince William Trails and Streams Coalition (PWTSC) (www.pwtsc.org) and strongly supported by the Prince William County Park Authority, Public Works, the Prince William Soil and Water Conservation District, the Occoquan Water-Trail League (OWL) (www.owlva.org ), the Northern Virginia Regional Park Authority (NVRPA), and several bordering Homeowners Associations that worked together on this exciting project. 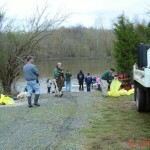 The Dale City Civic Association, some Marines from Quantico and Cub Scouts from Pack 611 also supported the effort. 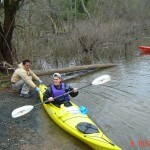 REI, (Recreational Equipment, Inc.) an outdoor retail co-op, assisted with promotion, volunteers, and kayaks. 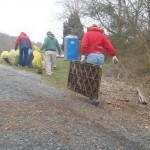 Starbucks in eastern Prince William County and members from the Students for Environmental Awareness (SEA) Club at NVCC Manassas provided some on-water and ground support volunteers. 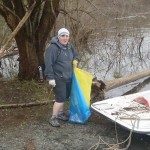 The Clean-up of the Occoquan River from the Lake Jackson Dam to Fountainhead and Lake Ridge Marinas was part of the Annual Alice Ferguson Foundation 23rd Potomac River Watershed Clean-up Day (www.fergusonfoundation.org). 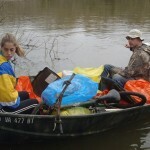 A total of 91 volunteers supported the River clean-up effort. 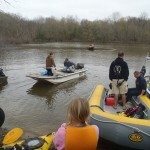 On-water support was provided by 46 volunteers using canoes, kayaks, Jon Boats and one Pontoon boat. 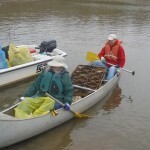 On-shore support was provided by 45 volunteers that participated in the gathering and off-loading of collected debris at Marinas and HOA locations identified below. 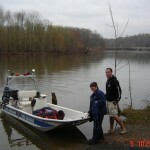 The Lake Jackson VFD provided on-water emergency support with two boats during this seven hour period. 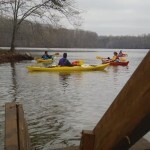 PWTSC launched canoeists/kayakers on the Prince William County side from below Lake Jackson Dam, Riverview Estates, Occoquan Forest and Canon Bluff HOAs, and the Lake Ridge Marina. 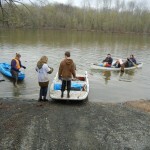 The HOAs provided take-out and put-in points for canoeists, kayakers, Jon Boats, VFD boats, and for gathered trash drop-off. 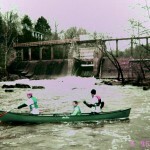 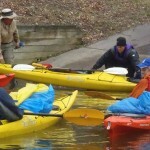 On the Fairfax County side canoeists/kayakers got free use of the Bull Run and Fountainhead Marinas, and NVRPA provided transportation back to put-in sites. 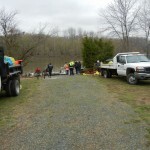 PWTSC was assisted at the Marinas by volunteers from the Friends of the Occoquan. 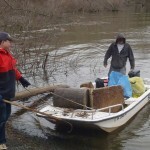 A combined preliminary summary of debris removed from the River at the Lake Jackson Dam area, Riverview Estates HOA, Occoquan Forest HOA, Canon Bluff HOA, Fountainhead and Lake Ridge Marinas Take-out Points is reflected below. 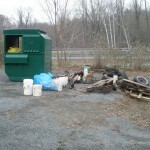 Estimated Total Trash Container Weight: 7,900 lbs. 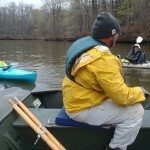 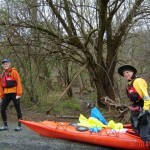 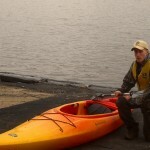 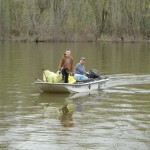 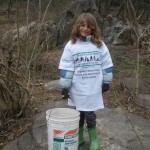 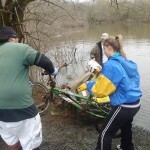 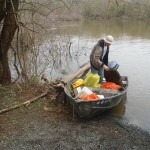 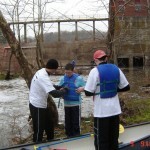 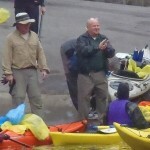 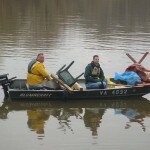 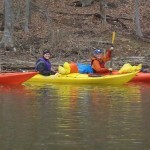 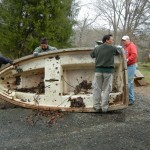 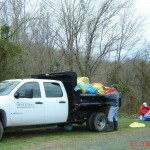 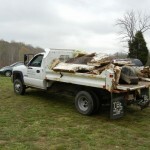 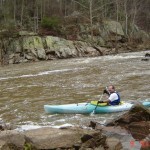 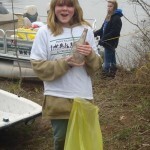 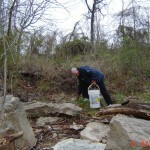 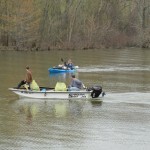 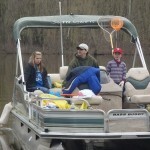 2011 Cleanup at Marumsco Creek, Occoquan NWR → ← James Long Park workday in March – Success!